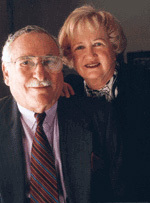 Building upon their success with SIRS, the husband-and-wife team of Elliot and Eleanor Goldstein acquired Mandarin Library Automation in 1995. The Goldsteins remain actively involved with Mandarin, with Elliot Goldstein continuing to offer strategic guidance in his position on the Board of Directors. 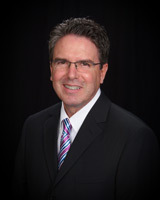 Leonardo (Leo) Lazo, Mandarin’s President since 1995. Leo’s software development and IT expertise coupled with his track record of ongoing development of our M3®, Mandarin Oasis® and M5® products have made him a leader in the library automation industry. His strong and long-lasting customer relationships with libraries throughout the world have added to his and MLA’s reputation as a trusted long-term provider of the most reliable, intuitive and affordable library software and automation solutions available. Art Graham has worked with SIRS and Mandarin for over 30 years, cultivating relationships with librarians throughout the world, and also serving on Mandarin's Board of Directors.